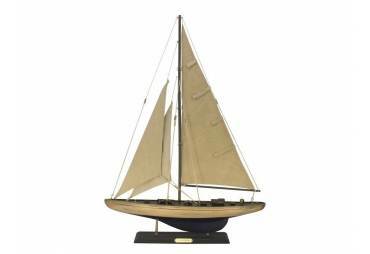 Sailboat decoration Blue Sailer MA8 Dimensions: 12.75 x 3.25 x 16"
Dimensions: 12.75 x 3.25 x 16"
The nicest part of a day on the water, Returning to port. 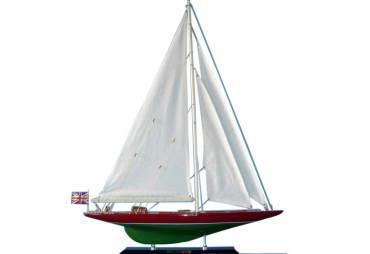 Sun low over the horizon, red. 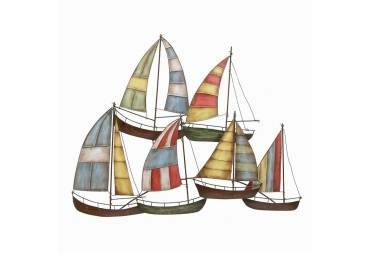 A bit sleepy, ready to dock, take the sails down, stroll home, and reminisce about the day. 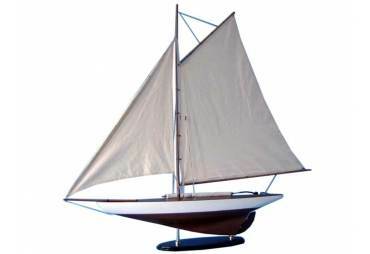 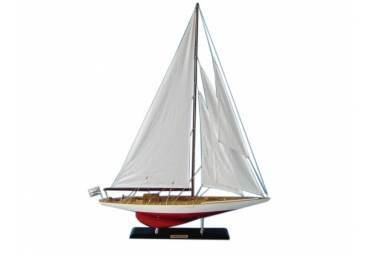 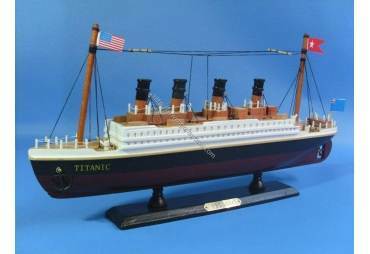 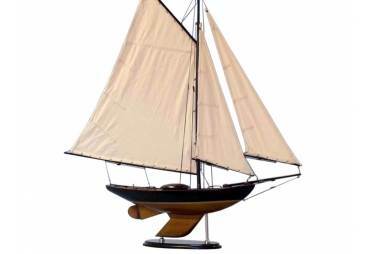 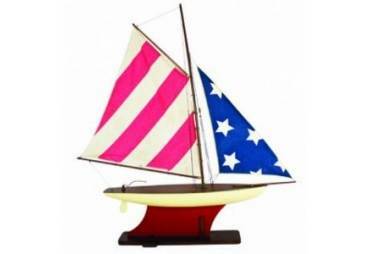 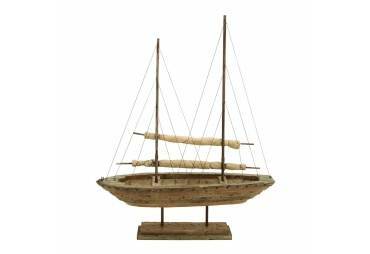 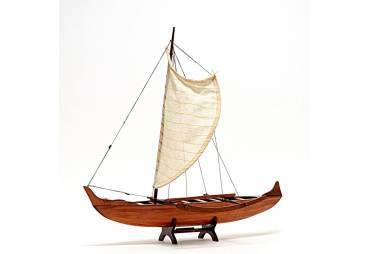 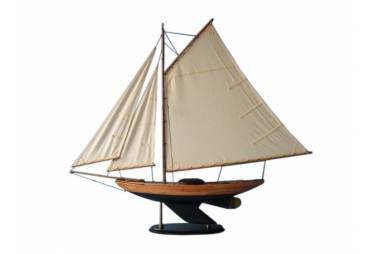 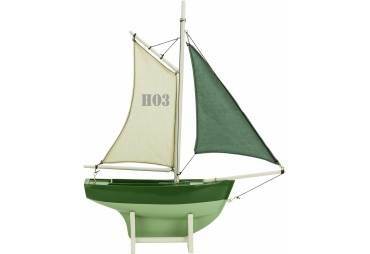 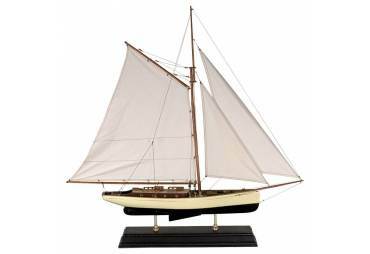 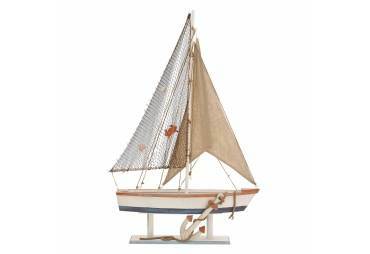 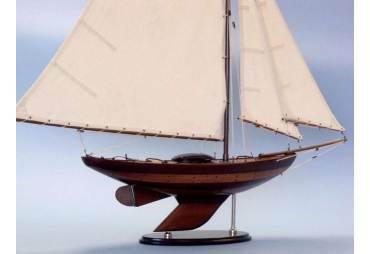 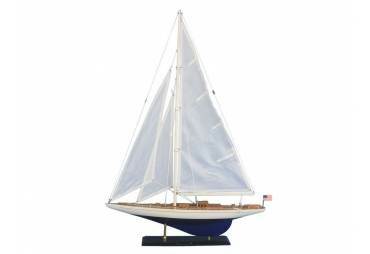 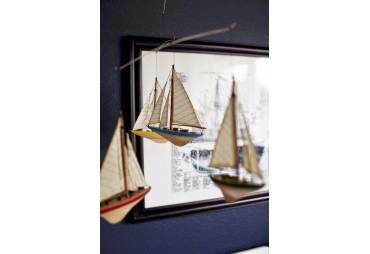 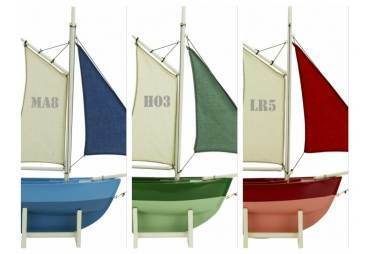 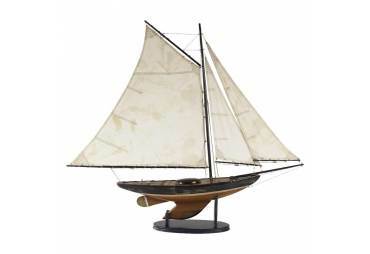 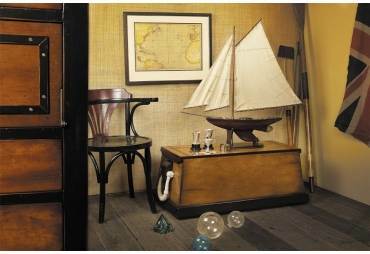 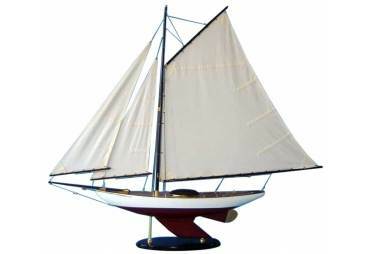 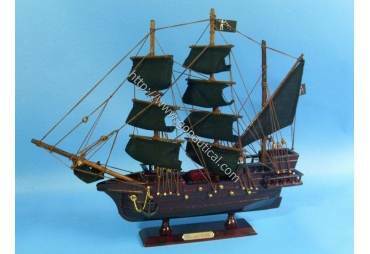 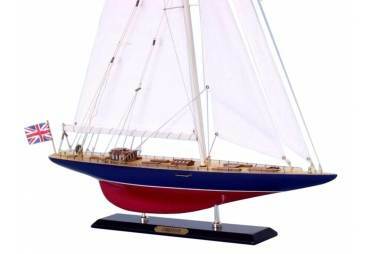 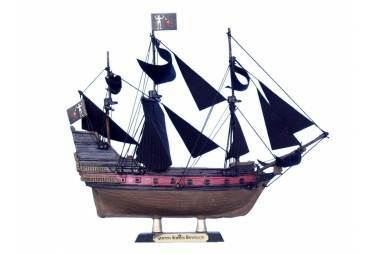 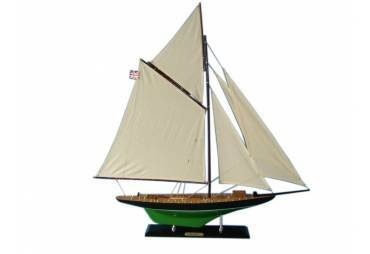 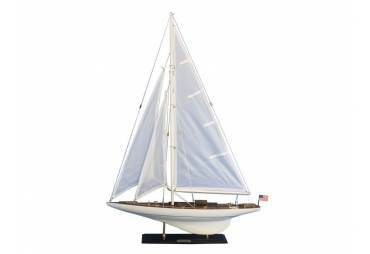 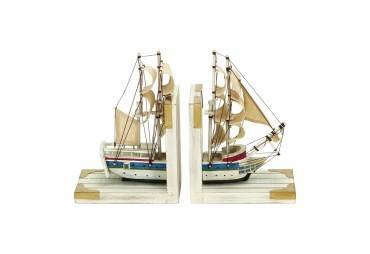 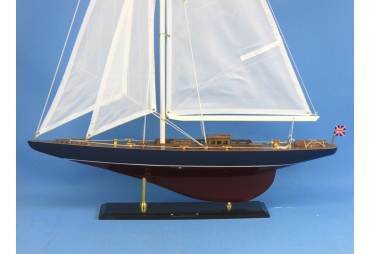 Display this sailboat model in the nursery, playroom, bathroom, window, bookshelf......Precious and fun.....NEW! 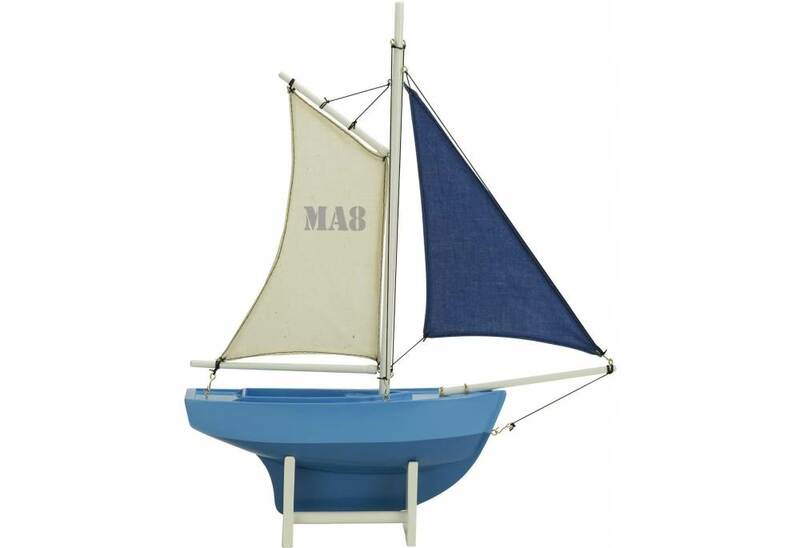 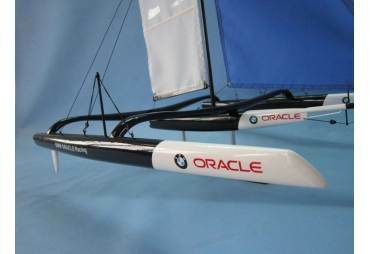 Measures: 12.75 x 3.25 x 16"